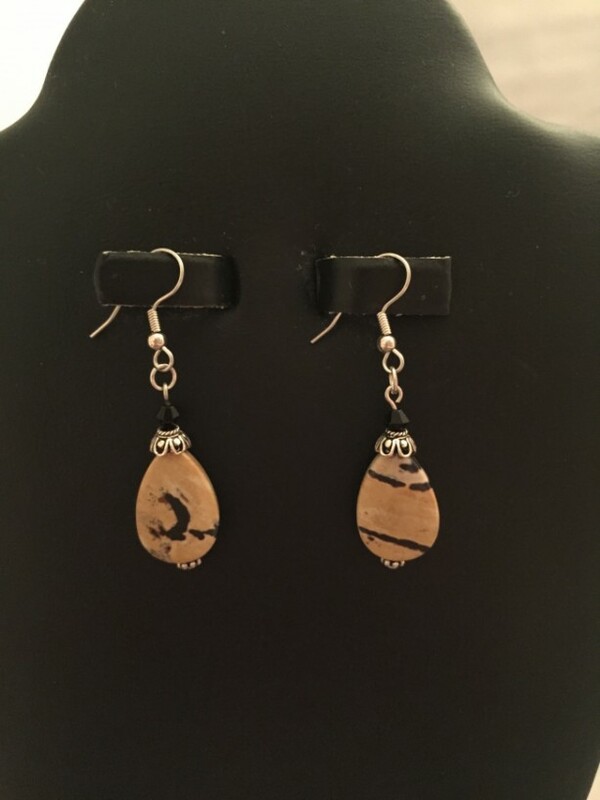 These little teardrops are made from real Jasper and have beautiful black lines and swirls throughout it. The findings are real sterling silver, and it is topped with just a bit of real onyx. 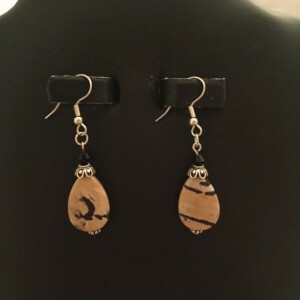 These short but simple earrings always put a smile on my face because I love how intricate the colors and layers are on the Jasper. I will admit that I definitely have a duplicate of these for myself! I just want to share something I love with others in the hopes that it will make them smile as much as it makes me!